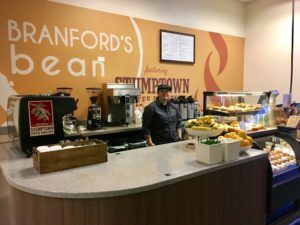 The coffee shop in the Library, Branford’s Bean, has re-opened just in time for fall term, after a mini-renovation this summer. Branford’s Bean offers Stumptown Coffee, tea, soda, on-the-go sandwiches, fruit, pastries, and more. Please see the PSU Eats website for the latest schedule.